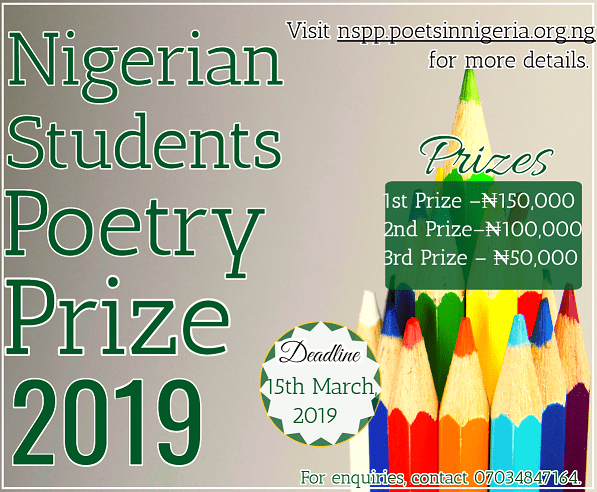 Aside from rewarding the prize winners (top three entrants) with a total cash prize of ₦300,000, the top 100 entrants will each receive a certificate of excellence and a complimentary copy of the NSPP anthology which features their works. Submissions are to be made at nspp.poetsinnigeria.org.ng, with strict adherence to the instructions thereon. Poems must be the original, intellectual property of the entrants.